We continue to follow NASA’s Mars habitat competition. The 3D construction phase has ended. Read on to find out which teams won. The third phase of NASA’s Mars habitat competition has ended. In this phase, teams were required to build a 3D replica of their Martian habitat. The second phase of the competition finished in August 2018. 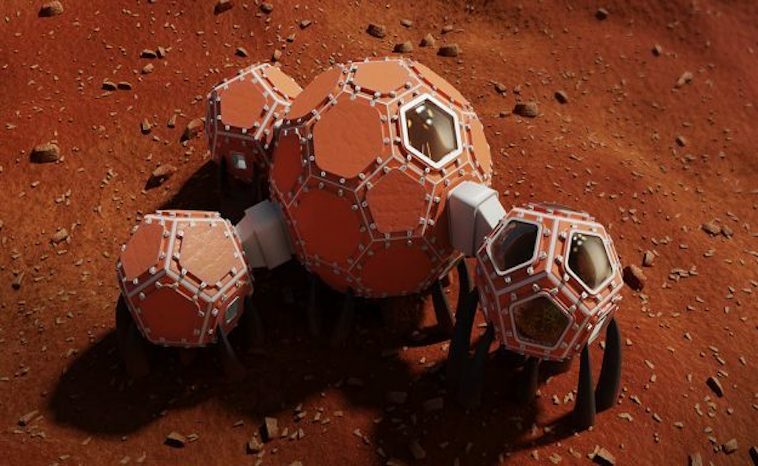 In that competition, teams submitted their conceptual designs of habitable Martian homes. Teams that won in the second phase also competed in the third phase. NASA split $100,000 to the top three teams. “Eleven team entries were scored and awarded points based on architectural layout, programming, efficient use of interior space, and the 3D-printing scalability and constructability of the habitat.”(NASA 2019) NASA awarded points based on looks and realism. The first place team, SEArch+/Apis Cor built a liveable habitat that used the Hercules Single-Stage Reusable Vehicle as a base. Rover units would use Martian materials to build the rest of the structure using a 3D printer. Their design focuses on the humans that will inhabit the structure. Furthermore, each area serves a purpose to benefit humans. The bottom floor contains the two lab areas. The middle and upper sections have a kitchen, four bedrooms, a greenhouse, and a relaxation area. In addition, the upper portion contains a water reservoir and filtration system. In case of emergency, each area can seal itself. A set of stairs on the outside allows inhabitants to escape if the inside sections become sealed. The center of the building has an inverted shape to offset outside air pressure. The second place team, Team Zopherus built a liveable habitat shaped as pods. A landing module would serve as the main core of the unit. From there 3D printing would take place. By gathering Martian soil and mixing it with water a cement would form. At this point, a thermal plastic would combine with the cement. From there, engineers would begin to build walls and extra pod units. The pods would connect allowing free movement from pod to pod. Pods would contain labs and living quarters. In addition, they would house a hydroponic garden for growing fresh vegetables. Additional pods could be constructed as more crew members arrive. plastic and basalt fiber engineers plan to build support structures. Along with the main geodesic pods, the entire structure could resist the huge amounts of radiation from space. The entire habitat would consist of labs, living areas, and kitchen. Crew members could move freely about without going outside. With these great designs, how did NASA determine the winner? It came down to two things. First, the tower structure allowed in natural light through portals throughout the habitat. Second, the structure had well placed structural supports. The competitions final phase will happen between May 1 and 4, 2019. During this competition teams will print their habitat structure. It will not be full size, but to scale. This will allow NASA to analyze further structural design flaws or improvements. The teams will compete for an $800,000 prize. We look forward to seeing the actual 3D printed design habitats later this year.